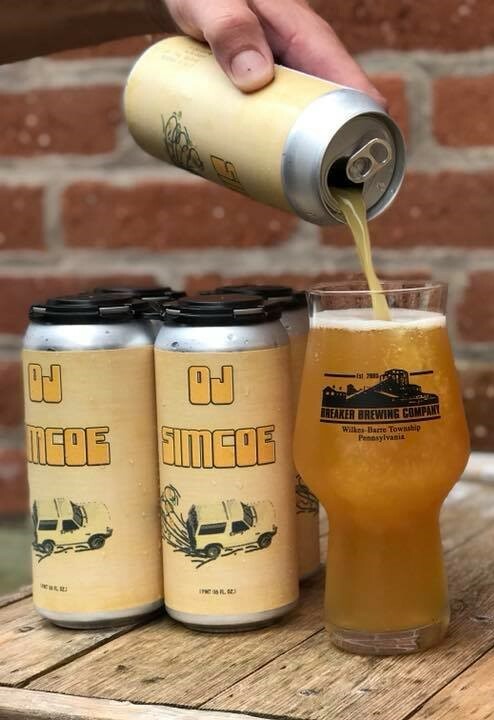 OJ Simcoe is our juicy hazy IPA bursting with a 90’s white bronco full of oranges and Simcoe hops. Brewed with pounds and pounds of Simcoe hops and a touch of milk sugar. Then double dry hopped with more Simcoe hops and rested on blood orange puree. Notes of citrus bliss, sappy pine, ripe papaya, passion fruit, and dried mango.